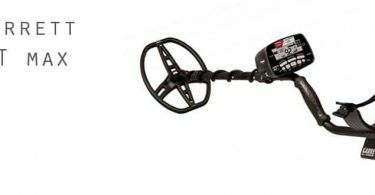 Archie Wood 13 years old was out with his metal detector in Bexhill, East Sussex when he made the discovery of the fossil. 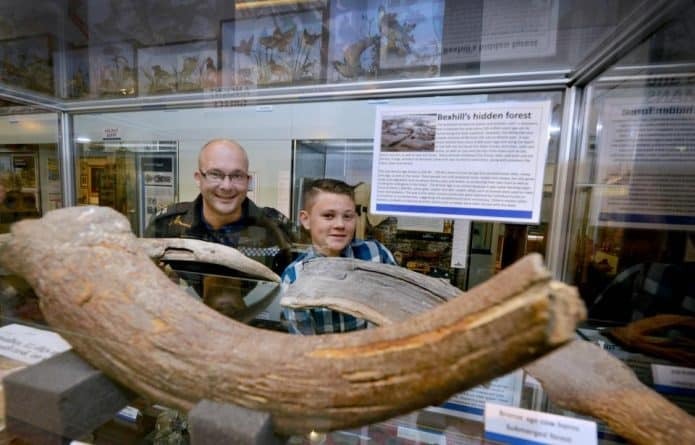 A teenager has discovered a 6000 year old Auroch horn after he first thought it was a piece of driftwood. 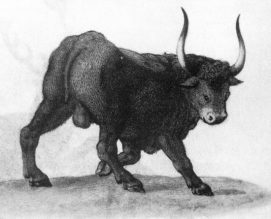 An illustration of an Auroch from wikipedia. At first when he realised it was a fossil, the 13 year old teenager believed that it could be the tusk of a mammoth. Experts have now confirmed that the find is the horn of a Auroch. Aurochs were a type of prehistoric cow which existed up until the 15th century. They were believed to have lived for more than a quarter of a million years across the continent of Europe. The cows roamed forest land during the late Neolithic and Bronze age. While out with his metal detector he noticed the large horn sticking out of the sand and proceeded to pull it free. Once free Archie and his grandfather, Neil Wood took the tusk to experts at the museum in the Isle of Wight. The experts at the museum believe it’s more specifically that of a Auroch, which was a giant bison. Julie Porter at Bexhill museum said they were absolutely delighted with Archie’s find. No official confirmation has yet been made but Bexhill museum is now in touch with the natural history museum and await more information. 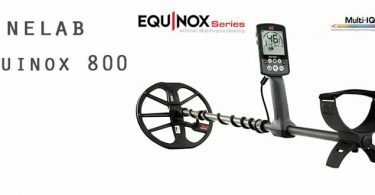 Archie’s incredible find is one of many that are linked to a prehistoric eco system which is said to have once existed on the south east coast of Britain. In low water you can actually still see the tree stumps from the ancient woodland. In terms of value the horn is estimated to be worth between £120 -£140. Archie forfeited his monetary reward and like a true metal detectorist who is interested in the history and not the money he donated his tusk to the museum. The Bexhill museum have now put the find on display and have put Archie Woods name right next to it. Which he is very happy about.